Ali Clarkson is one of those riders who just ‘gets’ riding a bike. 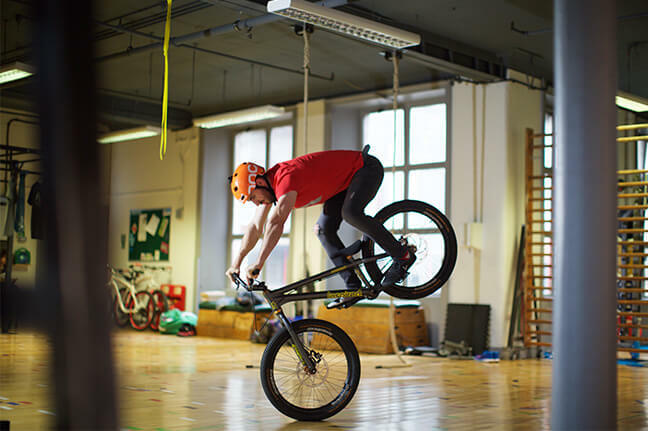 Originally from West Yorkshire and now residing in Glasgow, Ali is a professional street trials rider, with a worldwide fanbase, who’s been riding bikes competitively since he was 13 years old. The former British trials champion is now an acclaimed rider with his own unique flow and style. 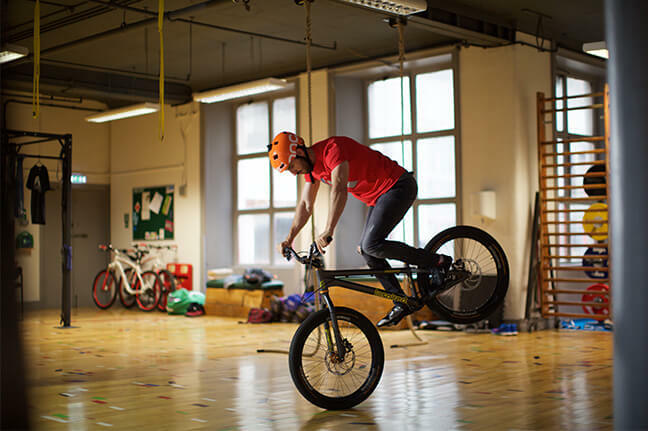 Ali performs stunt shows around the world as one quarter of Drop and Roll alongside fellow riders Danny MacAskill, Duncan Shaw and Fabio Wibmer. 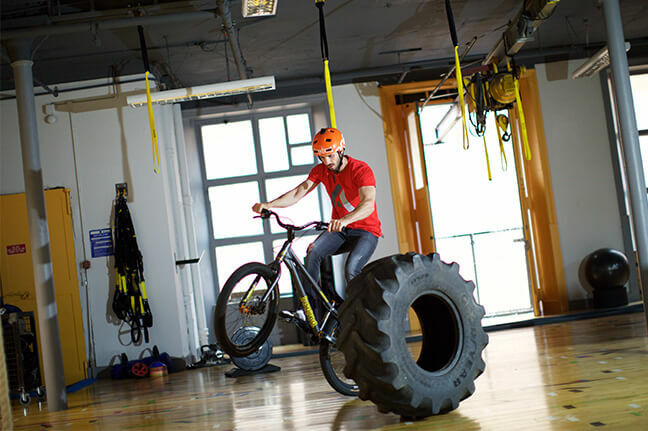 He is also a rider with the Clan Cycle Stunt team based in Central Scotland. 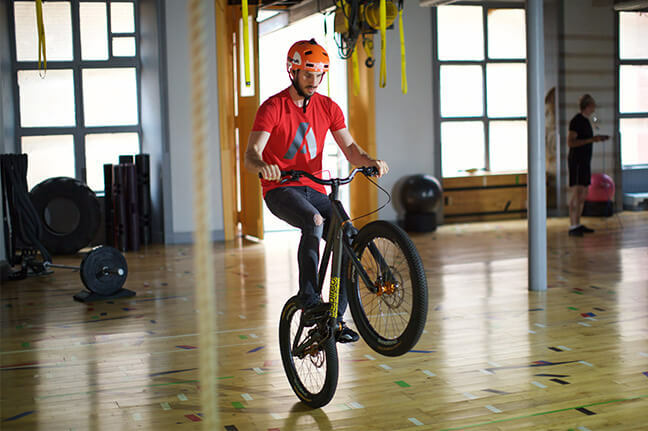 Ali has performed at a number of highly publicised events including the Moto trials World Cup, Glasgow 2014 Commonwealth Games, London 2012 Olympics, the Red Bull Air Race and the UCI Downhill World Cup as well as performances for ITV and the BBC. When he’s not performing in live shows, the street is Ali’s playground. 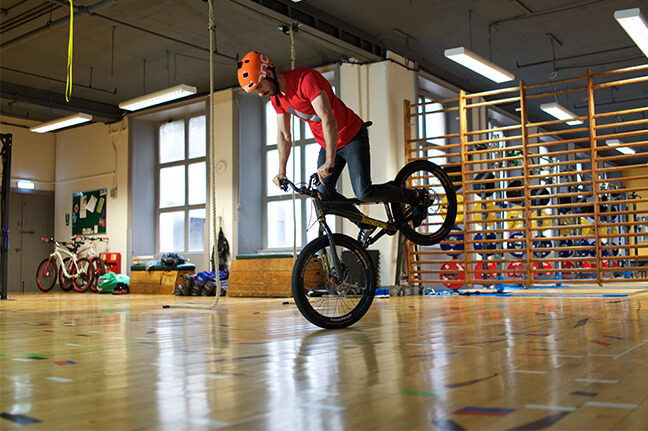 With his distinctively smooth and effortless riding style, Ali’s videos show his fearless drops and impressive skills in cities throughout Europe on his signature Arcade trials bike. 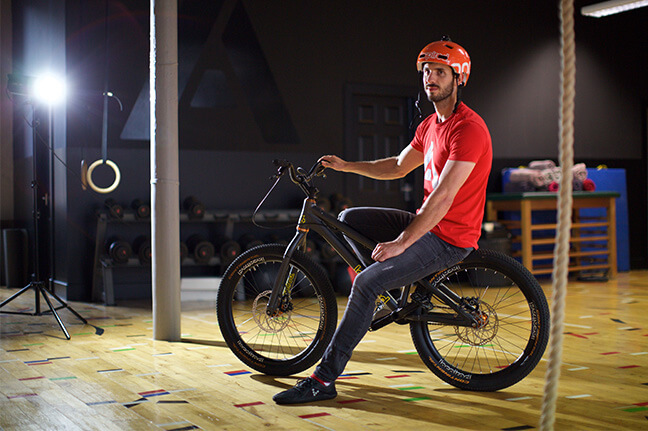 Aside from riding bikes, Ali likes bouldering, filming vlogs, drawing and enjoying life.